On Feb. 1, students at Yale Law School courageously rescinded their invitation to Philadelphia District Attorney Larry Krasner to be a keynote speaker at their Rebel Lawyers (Reb/Law) Conference of Feb. 15-16. 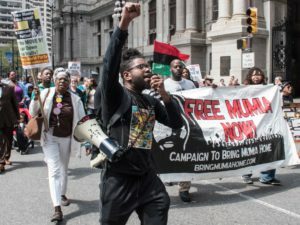 This decision came after Krasner chose to appeal a court ruling that would have given political prisoner Mumia Abu-Jamal access to new Post Conviction Act Relief hearings. 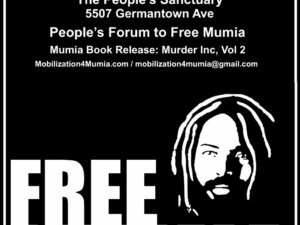 In Krasner’s place, the students invited Abu-Jamal to address their conference. The following is a transcript of his recorded speech. Dear Friends at Yale Law School, Dear Rebel Lawyers — On a Move! When I think of the term “Rebel Lawyers,” the first things that come to mind are jailhouse lawyers. They are, by definition, rebels who oppose the prison-industrial complex, especially the courts. Jailhouse lawyers fight for freedom, for themselves and others, and sometimes they prevail. Let us return to Rebel Lawyers, but with a peculiar twist. Two revolutionary leaders — Fidel Castro and Nelson Mandela — went to law school, but found that law, and the systems they lived under, were so corrupt, so biased, so dominated by unjust political elites that they learned that their very society had to be radically transformed before the law could be functional. The two men are rarely thought of as lawyers, even though both studied law, and one even briefly practiced it. Castro went to law school under the Cuban dictatorship of Fulgencio Batista — a tool of U.S. imperialism and a supporter of the American Mafia. Mandela earned his law degree under the racist National Party, which ruled South Africa with brutality and what they called “apartheid” — Afrikaans for “separateness,” a system of domestic colonialism that deprived all Africans of their most fundamental human rights. Both Castro and Mandela rebelled against such unjust systems and joined revolutionary movements to try and reform those societies. They are the very epitome of Rebel Lawyers. Unless I’m dead wrong, I don’t think there is a Fidel or a Nelson in this audience. But I’ll be glad to be wrong. The next rebel lawyer is a little closer to the mark. He is Clarence Darrow, who lived during the late 19th and early 20th century. He was a brilliant lawyer, a socialist back when millions of Americans voted for socialists, and an atheist. In 1902, Darrow went to the Cook County Jail in Chicago and spoke to the prisoners there about law. Here’s a little something of what he said: “See what the law is. When these men — the rich — get control of things, they make the laws. They do not make the laws to protect anybody. Courts are not instruments of justice. When your case gets into court, it will make little difference whether you are guilty or innocent, but it’s better if you have a smart lawyer. And you cannot have a smart lawyer unless you have money. Those are the words of Clarence Darrow, one of the original Rebel Lawyers. In September 1925, Dr. Ossian Sweet of Detroit, was charged — and convicted — of murder, after shooting at a mob of whites assembled to attack his home for being a Black man who dared to move into a white area. When he was granted a retrial, Clarence Darrow took the defense case and won an acquittal. You law students should read the closing arguments, for you will read some of the finest arguments ever made in an American courtroom. I leave that to you, if you’re interested. Now I use Darrow as a model for rebel lawyers for a reason. You, as law students, have a wealth of doors open before you. Indeed, some of you will go into prosecutors’ offices and work to help build and strengthen the bulwark of mass incarceration. Why? Because the lure of power is powerful! How do you think mass incarceration came to be? Was it a mistake? No. Back during the early 1980s, neoliberals took power in major American cities and waged war on Black communities, led, more often than not, by Democrats like Philadelphia’s first Black mayor, Wilson Goode, who brought the infamous MOVE bombing into being. Shortly before him, District Attorney Edward Rendell would join with former Mayor Frank Rizzo to give his blessing to the Aug. 8, 1978, attack on MOVE. Several years later, Rendell would announce an end to the prevailing prison system by saying that prisons would no longer do rehabilitation. Their job, he said, was incapacitation. 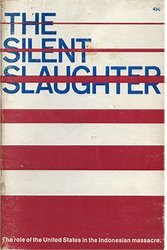 Thus we saw the so-called drug war achieve hyper status, with neoliberals joining conservatives to enact mass incarceration on a scale the nation and the world had never seen before. It should not therefore surprise us that Pennsylvania has the highest number of juvenile lifers on earth. Bipartisanship between neoliberals and conservatives built the monster we now call “mass incarceration.” No so-called “progressive prosecutor” can or will un-build it. That’s because it took the entire system — DAs, judges, cops, defense lawyers and prison administrators, not to mention the media — to collaborate on a monstrous project like mass incarceration. 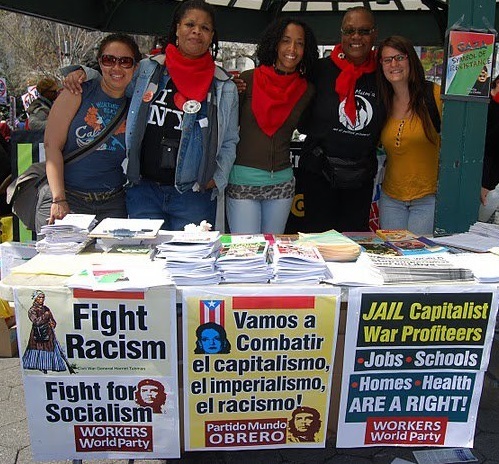 Only mass resistance can abolish mass incarceration. In other words: only a mass movement. Movements like Black Lives Matter or, for that matter, Reb/Law — movements of law students who stay engaged after they become “lawyers” and say “no” to monsters like mass incarceration and its architects. That’s why it’s important to make note of Darrow’s early days. He began his career as a corporate lawyer and made a pretty penny representing the people he would later call “the men who rule the world.” But his 1894 meeting with socialist activist and leader Eugene Victor Debs was transformative. Darrow resigned from his corporate clients and, at serious financial sacrifice, began representing those who opposed the economic elites. He represented Debs at a federal espionage trial four years later and lost. But Darrow — socialist, anti-racist atheist — had begun his long walk as a rebel lawyer. He opposed the death penalty and represented 100 clients facing death — and never had a single one go to death row. I thank you for inviting me back and welcome the work to come to abolish mass incarceration.